Kanye West - the 22-time Grammy Award winning, visionary multi-disciplinary artist who has sold over 30 Million albums worldwide and has twice been named to Time Magazine’s 100 most influential people in the world - yesterday unveiled details for THE SAINT PABLO TOUR. The North American tour, promoted exclusively by Live Nation, will kick off on August 25 at Banker’s Life Arena in Indianapolis, Indiana. West will visit nearly 40 cities across the U.S. and Canada including dates in New York City, Los Angeles, Toronto, Chicago, Montreal, Detroit, Washington, DC, Miami and more. 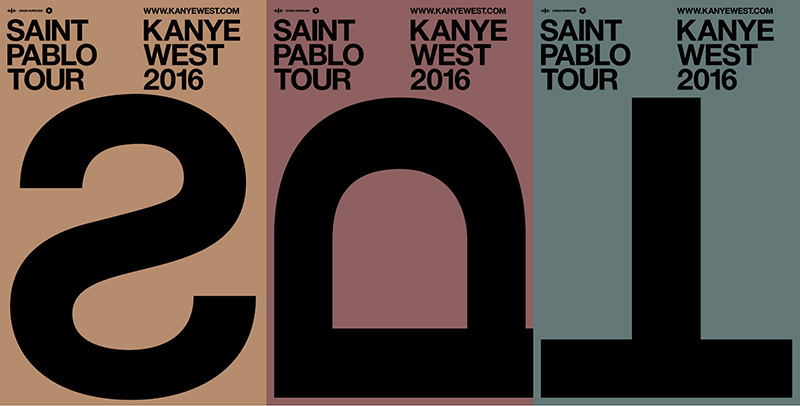 With Kanye's history-making live performances continuing to innovate the concert experience and set new standards for the visual medium, THE SAINT PABLO TOUR is the most anticipated concert event of the year. Tickets go on sale Saturday, June 18 at www.livenation.com. American Express Card Members can purchase tickets before the general public beginning Tuesday, June 14 at 10 AM. through Friday, June 17 at 10 PM.